Completely safe. Non-surgical, non-intrusive, non-harmful substances, no injections, painless and no recovery phase. Portable and lightweight. It can be comfortably used pretty much anywhere. Just charge it and take it with you. Lasting results. Continuous stimulation of collagen assists in rejuvenating the skin for long-lasting results. 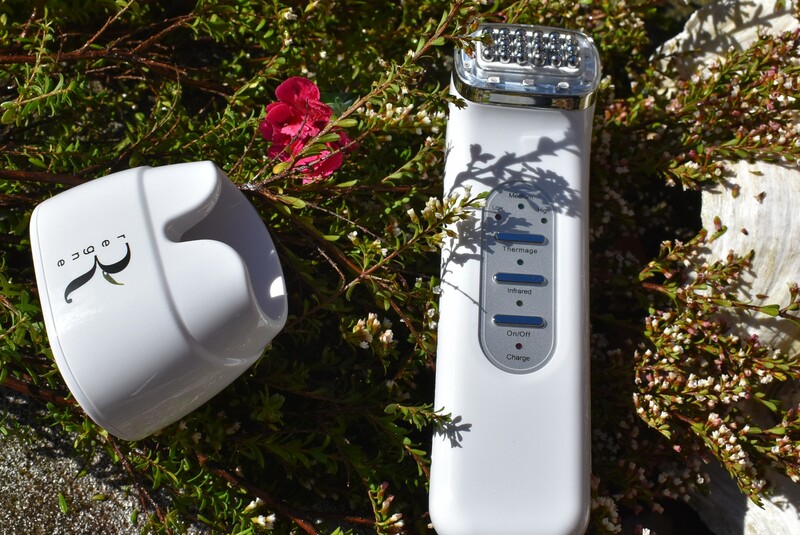 ROUGE X Red light rejuvenation device is a portable Thermage (RF) face lifting and infrared portable gadget to rejuvenate your skin. This gentle, non-invasive treatment provides a general sense of well-being and revitalization. You should feel an immediate response after treatment and you will soon discover a healthier looking skin and smoother shaped figure. ROUGE X works by boosting collagen production and preventing free radicals from breaking existing collagen in your dermis. These double action effect increases skin elasticity and reduces wrinkles. The visible results are tightened skin, reduction of the double chin and fading out of dark circles from under your eyes. What is RF treatment? What is Thermage? First of all, RF treatment and Thermage are interchangeable words. Both mean the same. 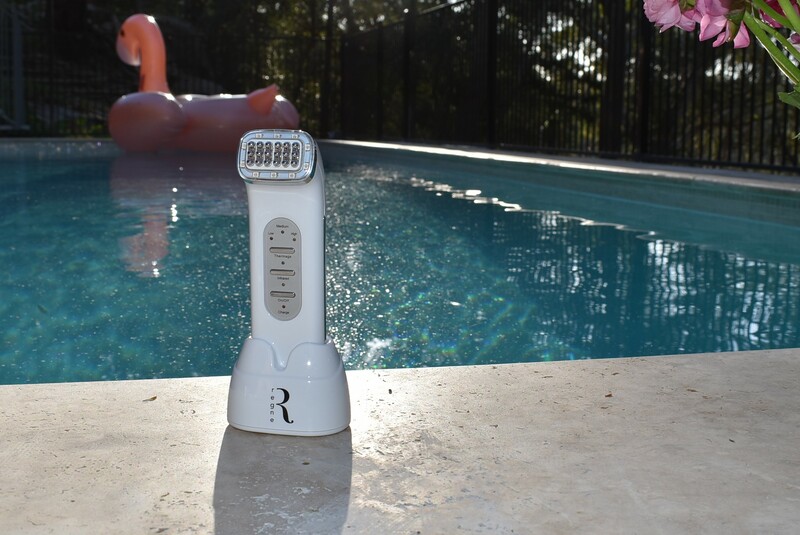 RF stands for Radio Frequency and vast scientific research has been done about its applications in skincare and beauty. RF treatment or Thermage is a high-frequency electromagnetic wave which inputs electromagnetic energy into the dermal layers of the skin, stimulating the dermis and activating collagen regeneration. This treatment is ideal for increasing the thickness and density of the skin as well as tightening and lifting loose skin. Furthermore, it also assists in removing wrinkles and scars. * For better results use in conjunction with Regne Pioneer Innovation Serum. Cleanse the areas where intend to make treatment. Apply moisturizing serum on your skin. Place the device head firmly on the skin and start moving around until the treatment finishes. For more information –see the brochure on instruction booklet. 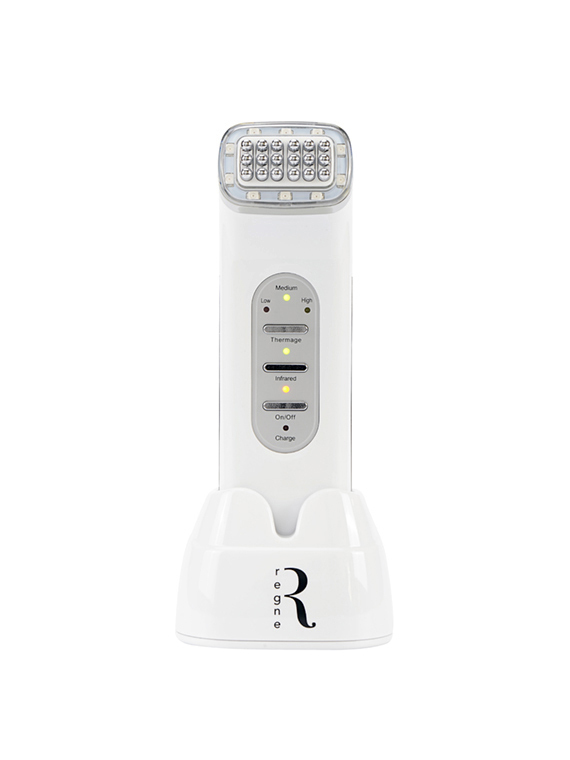 ROUGE X combines two effective and proven anti-aging technologies Thermage and LED infrared light therapy. These beauty treatments used to be only available at doctors or estheticians’ offices. Not anymore, with ROUGE you will be able to regenerate your skin and regain a youthful and glowing skin. Just use it daily for 15 minutes and you will see improvements within 7 days. Smart design, treatment probes only work when touching skin. Three different intensity levels to fit all skin types. Charging base and adaptor (included). This device is for skin beauty care only, do not use for other purposes. without injected hyaluronic acid or collagen in the last 6 months, without pregnant or heart disease. The skin may become dry after treatment so it is recommended to use in conjunction with a moisturizer and drink plenty of water. Do not use the device while charging. Do not use if you are pregnant or suffer from heart disease. Avoid letting the device stay in the same spot for more than 4 seconds in order to avoid dryness or burnt. Do not wash the device or immerse the unit into water or any other liquid. Just clean with a wet cloth after use. If your skin feels uncomfortable or allergic, stop use immediately and consult with a doctor. What is RF? Why use RF in cosmetic? R is short for Radio, F is short for Frequency, so RF is for Radio Frequency also called Thermage. RF is a high-frequency electromagnetic wave which could input electromagnetic energy into dermal layers of the skin, stimulate the dermis, heat the collagen to 45~60 ℃, activate the collagen shrinking and re-generating, increase the thickness and density, so it could tighten and lift the loose skin, remove wrinkle and scar, make skin elastic and glossy.